Every year on February 2nd, while people in the US and Canada are worrying about groundhogs, people in France celebrate Candlemas, mainly (these days) by eating crêpes. That sounds like a more worthwhile endeavor to me! And so, in honor of La Chandeleur (coming up in just a few days! ), I bring you an easy plant-based crêpe recipe, translated and adapted from this French one. I happen to own an electric crêpe-maker, which is VERY useful anytime you want to make pancakes of any kind, as it automatically heats to the perfect temperature for that sort of thing, reducing the risk of burning (other electric crêpe-makers may have different settings, however). It came with two essential wooden utensils: a batter-spreader and a spatula or crêpe-flipper. If you’ve ever had a crêpe made at one of those street stands in France, you may have seen these utensils before. My crêpe-maker is second-hand, and judging from the harvest-gold color of its base, may have been made in the 70s or early 80s. If so, planned obsolescence was not factored into its design, as it’s still going strong. You can still get similar devices in France online or at department stores (ask to see the crêpières), and the wooden utensils can be purchased separately too. My favorite way to eat crêpes is with a little lemon juice and sugar. Right now, bergamots (a citrus fruit similar to a lemon, but darker in color and sweeter) are in season—I picked some up today from my local farmers’ market, the Marché Bio des Batignolles. If you’ve never tried them before, bergamots are quite the experience. They have an indescribable scent that you will recognize immediately if you’re a fan of Earl Grey tea, which is made with essential oil of bergamot. For a touch of sweetness, I added a few sprinkles of coconut sugar, but you can use any sugar you like, or even a liquid sweetener such as maple syrup. Crêpes are most often served as a dessert but also make for a nice breakfast item if you have servants and own a smoking jacket. Any extras should be packed away in an airtight container (rolled up or folded into fourths) or on a plate covered with plastic wrap. Combine all the dry ingredients and mix well with the whisk to incorporate. Add the non-dairy milk, vanilla and oil and incorporate briefly with your whisk, stirring only long enough for it to reach a smooth consistency. Be careful not to overmix. Set the bowl aside and allow the batter to sit for 60 minutes, but (IMPORTANT) no longer than that or it will get too thick and you won’t be able to achieve the thin, somewhat elastic result you’re going for. 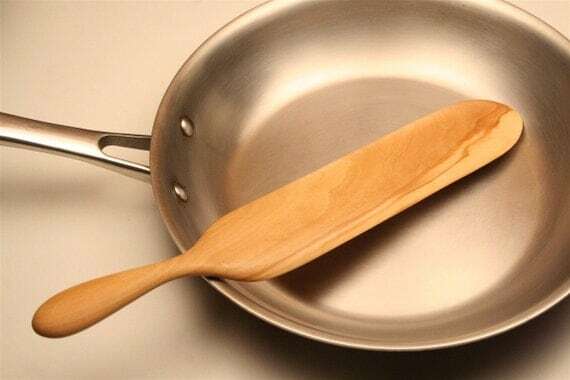 When the resting time is up and your crêpe-maker or frying pan is hot enough, pour one ladleful of batter onto the surface (if your frying pan doesn’t have a non-stick surface, you may need a splash of oil). Working quickly, spread the batter, either by hand with a wooden spreader on an electric crêpemaker or, if you’re using a frying pan, by rotating the pan evenly until the batter covers most of its bottom. I sadly could not get a photo of this step, since I was making these on my own, but it looks a bit like this, though on a smaller scale. Aim for the same thickness throughout the crêpe (avoid having thinner edges, which will become too brown and crisp). Once the edges of the crêpe begin to look firm (about 60 seconds with my crêpe maker), gently slide your wooden crêpe turner or spatula underneath it. If the underside is slightly browned, flip it over. Otherwise, give it a bit more time and check again. Allow the crêpe to cook for around 30 seconds on the other side (it will need less time than the first side). Slide the crêpe off the heating surface with your flipper or spatula and onto a plate, and repeat until the batter is gone. You will have 10 or 11 crêpes, depending on the size. Consider placing a wide saucepan lid on top of the stack to keep them warm as you work. Squeeze some lemon juice on top of the crêpe (the less browned side) and then sprinkle some sugar over that. In the bottom left corner of this photo, you can see one regular lemon next to two bergamots, for comparison. Next, either fold the crêpes into fourths as shown above, or roll them up into a long cigar shape. If you are adding ice cream or whipped cream, or other similarly voluminous toppings, you may wish to simply fold the left and right edges of the crêpe together (and eat it with a fork). Other yummy things that are nice on crêpes are chestnut spread (called “cream” on this label, but it is always dairy-free) and chocolate spreads (dark chocolate in the center and a chocolate-hazelnut version on the right). The chestnut and dark chocolate spreads are accidentally-vegan items and come from Franprix, while the Nuté+ is a vegan version of Nutella and can be found at most organic shops in France. Try chestnut and chocolate together on the same crêpe—it’s a great combination! More variations: The possibilities are endless. Consider banana slices (might as well, if you’re already using chocolate! ), applesauce, vegan apple honey, cubed fresh mango or pear, berries, white almond butter, jam, poppyseed paste, fresh fig with toasted walnuts. Top with some coconut whipped cream if you want to be fancy.